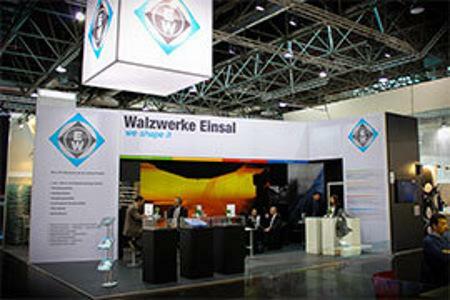 WALZWERKE EINSAL GMBH, Nerūdijantis plienas, Plienas įrankinis, Duplex steel, stainless, EUROPAGES. 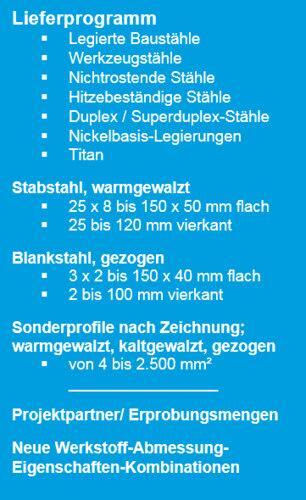 Walzwerke Einsal is your multi-specialist for long products. As a German manufacturer of flat steel and steel square bars, as well as special profiles according to design, we are distinguished by a high level of flexibility, efficiency and expertise. 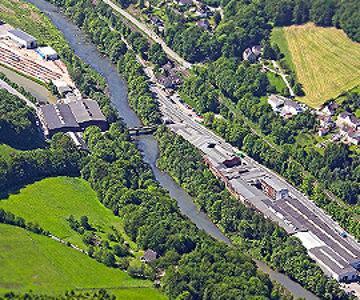 Walzwerke Einsal sets the highest standards in quality in order to achieve a high level of customer satisfaction. Our facilities, which are process-controlled according to the latest industry standards, enable the processing of more than 400 stainless steel grades in a wide variety of flat and square bar dimensions (continuously variable). Walzwerke Einsal can also manufacture small batch sizes from as little as 500 kg according to individual customer requirements. We adhere to sophisticated requirements in dimensional accuracy, surface quality and microstructure. As your project partner, our services are at your disposal for everything from trial batches to series production. Certified according to the following standards: EN 9100, DIN EN ISO 9001, DIN EN ISO 14001, DIN EN ISO 50001. Made in Germany.